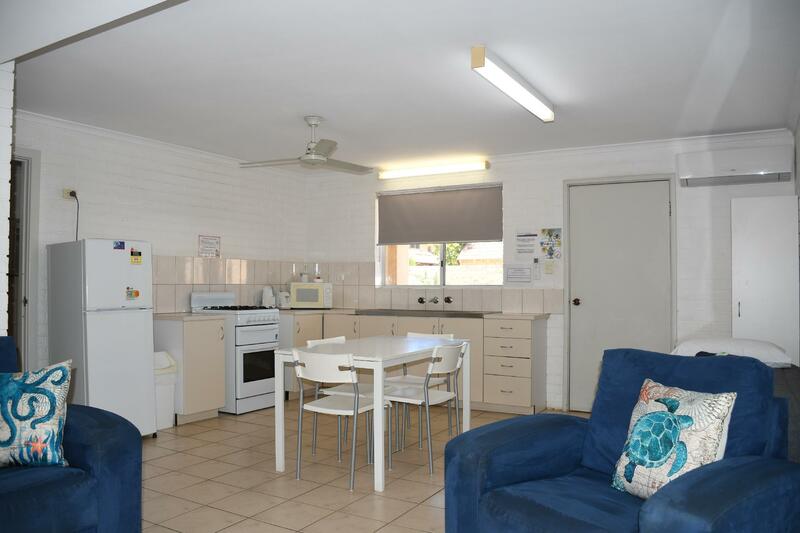 يشكل فندق Kalbarri Seafront Villas بموقعه الممتاز في منطقة سياحة, شواطئ ضمن مدينة كالبارى، مكاناً ملائماً لقضاء العطلة بعيداً عن عجقة أيام العمل. إن موقعه الجيد الذي يبعد 0.0 Km فقط عن مركز المدينة يساعد النزلاء على الاستمتاع بمعالم المدينة ونشاطاتها. إن سهولة الوصول من الفندق إلى المعالم السياحية الشهيرة الكثيرة في المدينة كمثل ‪Meanarra Hill Lookout‬, ‪Hawk's Head Lookout‬, Paul's Gallery هو استثنائي بحد ذاته. يعمل Kalbarri Seafront Villas على ضمان إقامة مريحة لضيوفه من خلال خدماته الممتازة وحسن ضيافته. يمكن الاستمتاع بمجموعة من الخدمات على أعلى المستويات في الفندق كمثل واي فاي مجاني في جميع الغرف, مرافق مخصصة لذوي الاحتياجات الخاصة, تخزين الأمتعة, واي فاي في المناطق العامة, صف السيارات. لقد جهزت هذه الإقامة الفندقية بعناية فائقة لتوفر مستوى عالي من الراحة. في بعض الغرف يجد النزيل تلفزيون بشاشة مسطحة, اتصال لاسلكي بالإنترنت, غرف لغير المدخنين, مكيف هواء, تدفئة. إن حمام سباحة خارجي هو المكان الأمثل في الفندق للاسترخاء وتفريغ طاقتك بعد نهار طويل. يشكل Kalbarri Seafront Villas بخدماته الراقية وموقعه الممتاز، قاعدة مثالية للاستمتاع بإقامتك في كالبارى. مكتب الإستقبال مفتوح من 09:00 AM إلى 06:00 PM. الضيوف الذين سيصلون خارج هذا الوقت بطلب منهم التواصل مع العقار مباشرة قبل موعد الوصول لترتيب هذا الأمر. Quite good location. There is a shop just next to accommodation, also could fuel up there too. A few restaurants nearby the visitor center. Could join the pelican feeding at 8:45, just 2mins walk from accommodation. The location was great, by the beach. The apartment, though clean, is a bit run down and the free wifi is limited to only 50MB. Lovely accommodation for a holiday retreat by the ocean. 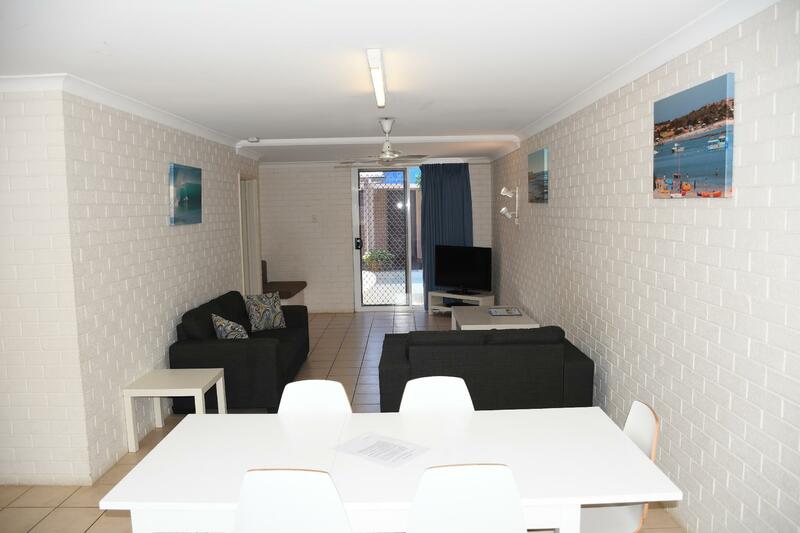 within walking distance to beach, cafes, local attractions and shops. Quiet location very close to the beach for walking, fishing and photographing sunset etc. Very clean, well appointed, plenty of local information available. Enjoyed the big clean room, with own balcony and an ok view of the river/ocean. Staff ok. The place is getting a bit old /wear and tear, but good value for money. Easy walking distance to IGA (North) and the delicious Pelican cafe (south). Thanks for the stay. The one bed room villas is very spacious, kitchen is fully equipped, a short walk to beach and supermarket. Convenient parking just in front of door. And with large tv. 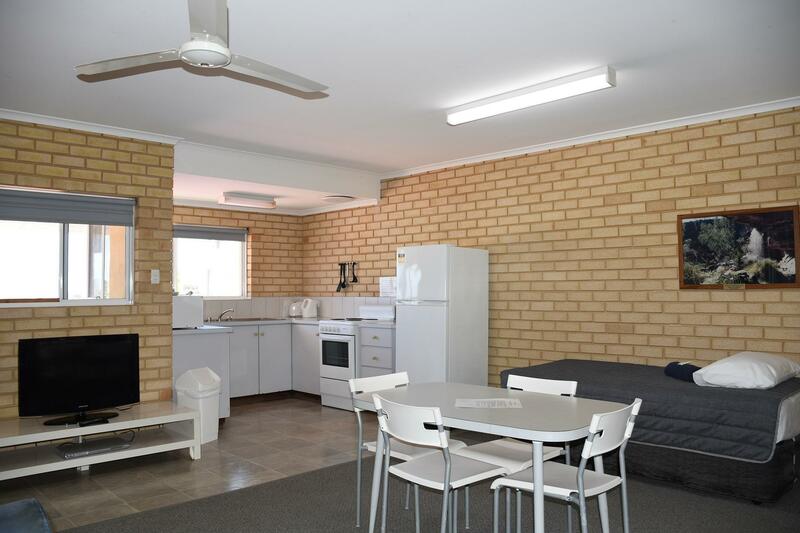 Easy access to kalbarri attractions. It's an enjoyable stay there. Thank you so much for taking the time to write a review. 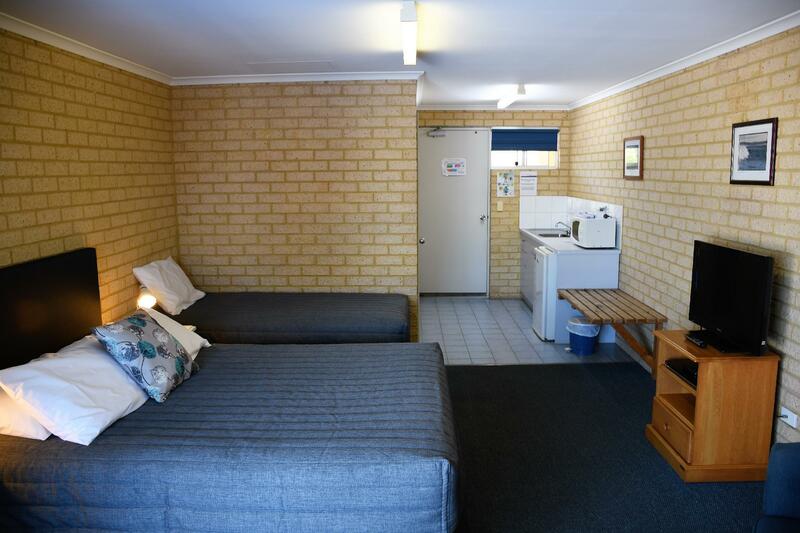 Our units are unusually large and very comfortable and it's great you enjoyed the large TV. 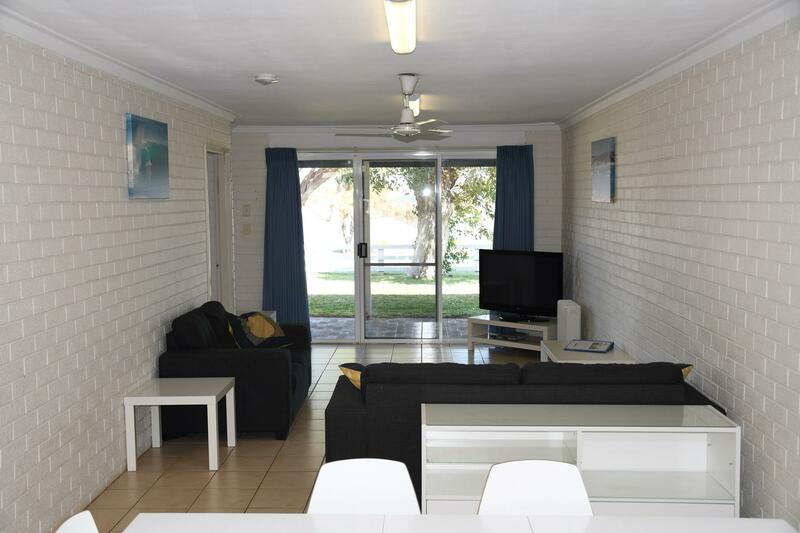 We do have a superb location in the centre of Kalbarri with most units having great water views. We are pleased that you enjoyed your stay and hope you visit us again soon. 1. Unit is old, aircon unit was noisy i could not get a good sleep. 2. Whole unit was infested with cockroaches, ants and they came out to play at night. i killed 3 cockroaches in the bathroom and 2 at the kitchen when they crawled past me. I told the owner and they say 'THANK YOU". ??? The vanity cabinet have creepy crawlies kept coming out. i do not dare to open the drawer. Stay at your own risk. How disappointing and upsetting when someone who is totally dishonest can write such a review. He booked for 2 people only and arrived with 4 people, although still denying that he had extra people after check in. He was upgraded from a 1 bedroom unit to a two bedroom unit prior to arrival and took offence when asked to pay a nominal amount for the 2 extra guests. Our units are spacious, superbly clean and extremely comfortable and we do all that we can to ensure our guests have an enjoyable stay. We do find it quite distressing when a guest can be so vindictive, unfair and above all dishonest. We are disappointed that we did not meet with your expectations. We are very proud of our spacious, comfortable and extremely clean units. We strive every day to improve our facilities to ensure our guests have an enjoyable stay. Stay was fabulous. The cleanliness was beyond expectation. Feels like I never leave home. Location was perfect. So central. Glad I chose this vs Pelican Nest. Thank you for staying with us and taking the time to write a review. We are very proud of our units and the standard of cleanliness. We do strive to ensure that they are extremely comfortable and that our guests have every thing to ensure that they have an enjoyable stay. 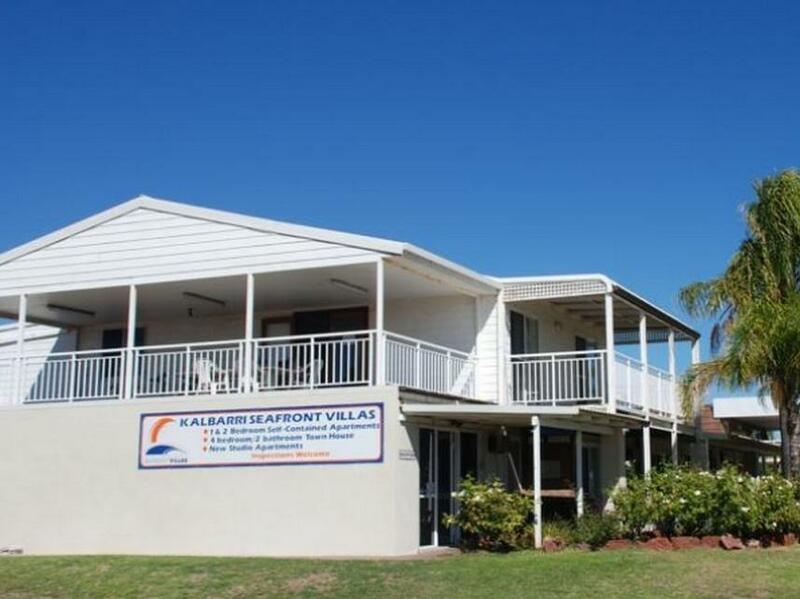 We hope you stay with us again at Kalbarri Seafront Villas. Thank you for staying with us taking the time to write a review. Many guests enjoy the free use of the two dingy's located on the beach in the front of the units, especially children. Our studios are our smallest option, although we have ensured that our guests are still able to prepare small meals with the microwave and the electric fry pan provided. It's great that you appreciated our efforts. We are proud of our location the comfort and cleanliness of our units. Thank you for staying with us and we hope you visit us again soon. It was getting a bit tired and it was not that clean however there was a friendly receptionist who served us. It was a good price. 1. self contained 2. equivalent to an apartel 3. the staff were very helpful. Location , bed was comfy and shower was large. Stay was okay. Disappointed that rooms were not serviced.Also there were dirty bowls in the cupboard. Still with baked beans in them. Travelling alone this accommodation was perfect, good value, great location and very clean the staff were all very efficient and pleasant. The place was very active with travellers coming and going, always full so booking ahead may be good idea. good selection of room style all self catering and well equipped. Would recommend to friends and others. The room is clean and staffs are friendly. Sight seeing places like natural window hutt river province and pink lake are not very far away. Excellent location, Staff tried to be helpful when we complained about the original room we were booked into. Rooms clean, but for the $ very ordinary.